Replica BE-2 aircraft of the Vintage Aviator collection ready for flight at Hood Aerodrome. BE-2s served with the Royal Flying Corps from 1914. Several incorporate parts and engines of genuine Great War aircraft and all show great attention to craftsmanship and authenticity. The growing collection of Allied and German designs includes: FE2 pusher; BE2; Avro 504; Sopwith Pup, Triplane and Camel; Bristol Fighter; SE5A; Nieuport XI; Albatross V; Fokker Triplane, DVII and DVIII and Pflaz D.III. 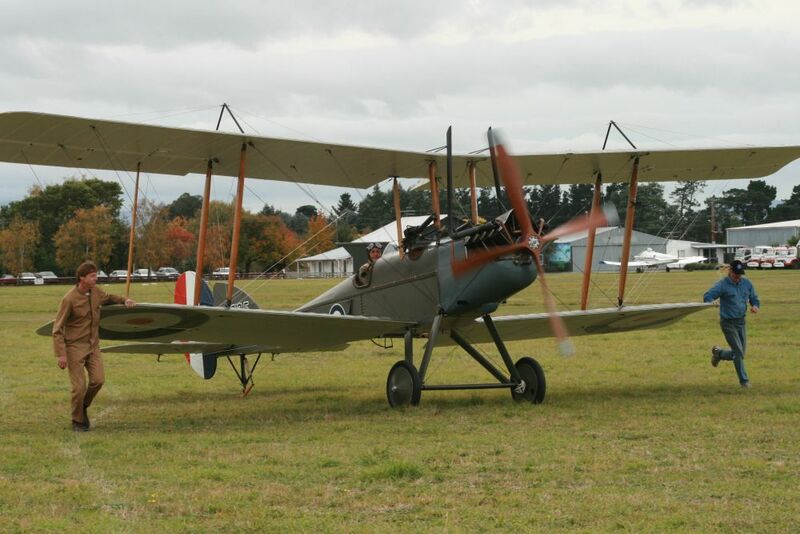 The Vintage Aviator stages several airshows each year (weather permitting), with one near Armistice Day and one early in the year. The aircraft fly over Hood Aerodrome, usually at low level, allowing close viewing of this unique collection.